While working on the updated version of my cards design (which I completed almost), I got some ideas to make a symbol that would represent the rarity of the card. While thinking about that, I ended up designing a whole new logo for Starmaninja. This is essentially it and I've already placed it on my website. 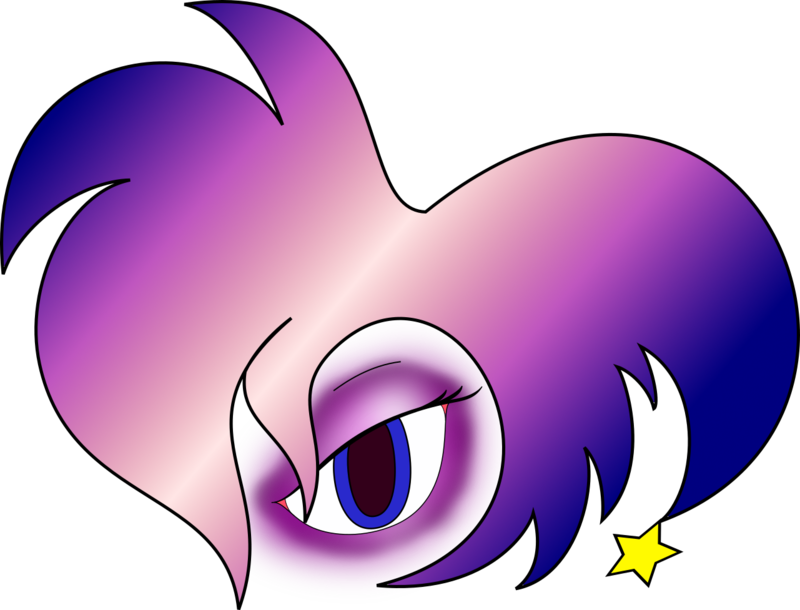 The idea is I wanted a more abstract symbol that would represent Starmaninja, and I figured the most notable features of the Stars is thier wild forehead hair, their massive flirty eyes, etc. So I made this. It took a few attempts, but I'm really happy with this. I'll be using this symbol as a seal for my art and such from now on. The one of Sylvia's head has been retired for this one.